An extension to the existing special needs secondary school provides new teaching spaces, group rooms and a sensory room. 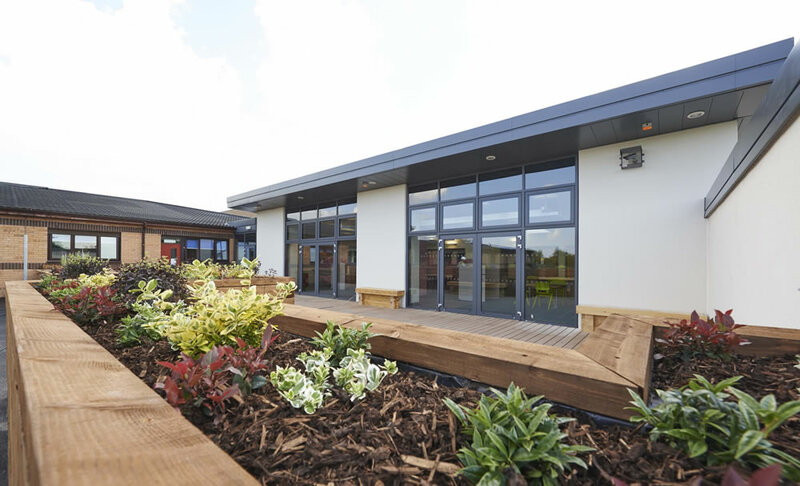 The building was conceived as a single storey building linked to the existing school by a glass link, overlooking a new sensory garden. 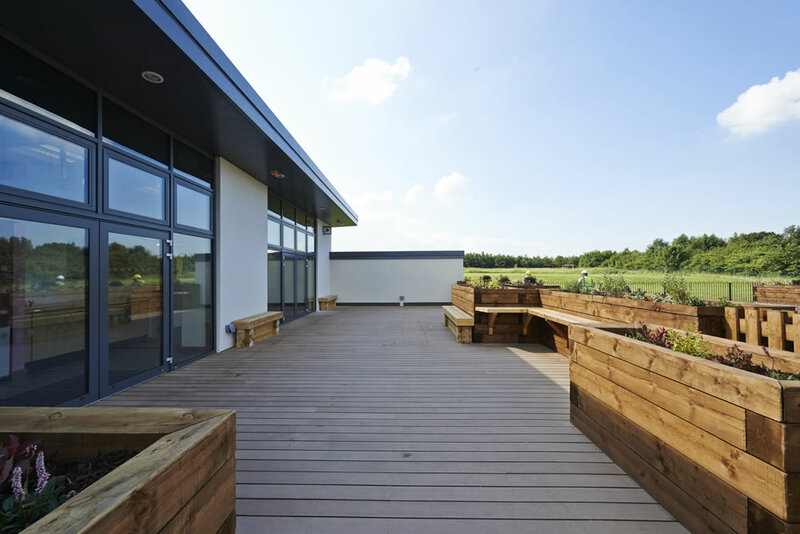 The extension was carefully planned with the school and Carillion to provide state of the art teaching spaces extending inside to outside by provision of a decked area accessed by fully retractable glass doors. The sensory garden is bounded by low level planters used as teaching aids aimed at wheelchair users. 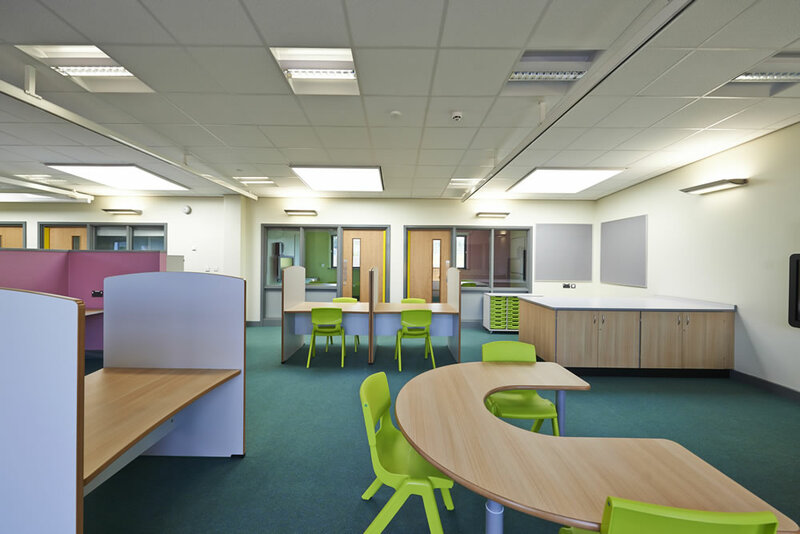 Four automatic roof lights allow natural ventilation of the main teaching spaces. The project was delivered on budget and ahead of programme using BIM co-ordination.